Just over fifty years ago, the world’s largest and most powerful general-purpose supercomputer – the Ferranti Atlas-1 – was commissioned at the Atlas Computer Laboratory in Oxfordshire. To mark this historic event, Dr Victoria Marshall and Dr Tom Kirkham from the Rutherford Appleton Laboratory will be giving a talk to outline how scientific and multi-disciplinary computing has evolved over the past fifty years and how the design of Atlas-1 still has an influence on computing today. This event, in conjunction with SES (Science Engineering South) will be an opportunity to hear from a range of researchers using high performance computing (HPC) in Oxford and to network with researchers and representatives from SMEs in the Science Engineering South region. There will be a series of presentations from a variety of research, supporting presentations from our collaborators OCF and Lenovo, a research poster exhibition and plenty of networking opportunities. During lunch there will also be an opportunity to tour the city of Oxford on an open top bus! In this lecture Professor Judy Wajcman, Visiting Professor at the Oxford Internet Institute, will examine the ways in which robotics embody the desire to save valuable time by enabling us to complete tasks ever faster and more efficiently. They are supposed to make our lives easier. Yet we hear constant laments that we are pressed for time, and that the pace of everyday life is accelerating. How do we explain this conundrum? And why is it that machines designed for today’s service economy often resemble gender stereotypes? Unconscious bias is a hot topic across academia at the moment, and rightly so. It can have an impact on everything from how you select and manage your team through to how you peer review research applications. 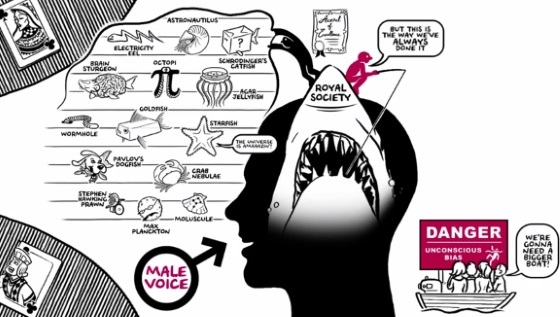 The Royal Society has created an animation and briefing on this topic and, although it is aimed at their selection and appointment panel members, the value of the message conveyed has a much wider reach and is relevant to anybody involved in management and decision making. If unconscious bias is something you’re interested in learning more about, you may also be interested to know that Oxford is holding a two part lecture series on the topic as part of the Leverhulme Lectures Series. More information and booking for these events can be found here. A hacking training session will be running at the Centre for Digital Scholarship, Weston Library tomorrow, Thursday 3rd December 13:30-17:00. The event is free and is open to all members of the University of Oxford. The workshop will explore the ins and outs of running a hackathon with digital data or content. In the second part of the session, participants will engage in a mini-hackathon using Early English Books Online Text Creation Partnership data, followed by a discussion of the experience. Iain Emsley – a research associate at the Oxford e-Research Centre, working with the Software Sustainability Institute and the Square Kilometre Array. Currently reading for a Masters in Software Engineering at the University of Oxford, he has organized and attended hack sessions. His research interests include sonification. Liz McCarthy – Web & Digital Media Manager at the Bodleian Libraries, University of Oxford. Her research interests include social media in the cultural sector, digital literacy, digital humanities, 17th-century bookbindings, and library history.